Christianity is a world religion that rests solely upon one event: the (alleged) resurrection of Jesus Christ. Why do I say it rests only on this event? Well, assuming that everything else really is true but the story ended with Jesus’s death on the cross, what would we really have? We would have a tale of some dude speaking deluded ramblings about being God in the flesh and saving humanity through his death. The story needs the resurrection finish, otherwise Jesus becomes just another crackpot who got himself killed for getting too big for his britches. Thus, without the resurrection of Jesus Christ, Christianity would possess nothing unique and would most likely not have become what it has become. This poses an interesting question: if a fantastical story is true, it spreads and gains momentum because it is both fantastical and true, right? I mean, stories like this spread like wildfire. However, what about a story that is fantastical and false, but is told as if it is true? Wouldn’t this story spread in the same way? After all, it is being retold in much the same manner a legitimately true story would be retold. Thus, we cannot necessarily look to Christianity’s success over the last two millennia as strong evidence for its truth. If we did, we would have to contrast Islam’s 1.6 billion adherents to Christianity’s 2.4 billion, and note that Islam is much younger than Christianity. It therefore makes little difference how successful a particular religion is in the world because, as history has shown, people are capable of believing just about anything. Besides, lies can be just as compelling, seductive, and encompassing as truths can be—maybe even more so. I therefore want to thoroughly review all of the evidence for the resurrection of Jesus Christ. Granted, this is an event that the believer has to accept with a measure of faith, but I submit that without a good reason for putting your faith in a certain object, you are therefore justified in putting your faith in any object. That, to me, is dangerous. So, we must ask if there is legitimate evidence, beyond a reasonable doubt, that warrants putting our faith in the resurrection of Jesus Christ. If we can do so, we must all bow down and serve the God of Christianity. If we cannot do so, we should be responsible enough to walk away from the God of Christianity and seek other answers. MAN A: “Okay, well, how do you know fish weren’t speaking Latin in the year 50 BCE? That is the Regularity of History. History has, well, a history of not including the supernatural, the empirically impossible, or the miraculous. Because history is regular (thus the name of the concept), we can be absolutely certain that there was never a time when pots of gold were to be found at the ends of rainbows, when chickens sat around solving advanced mathematical theorems, when humans soared around in the sky on the backs of fiery dragons, or when witches could turn little boys into toads. We all know what the fantastical is because it is separated from the regular. We all also know that the regular is regular precisely because our reality is bound to the laws of physics. We can be certain little boys were never turned into toads because such an event would violate the Regularity of History. Do you see? Good. Regarding the resurrection, then, we must observe the most basic piece of evidence we have, which is also, therefore, the place we must begin our investigation. The question is this: do people rise from the dead today? No, they do not. Has anyone ever seen a person rise from the dead? No, they have not. Now, granted, modern medicine frequently enables doctors to revive those who have been briefly dead, but what we are asking here is whether a corpse, after a few days or more of decay, can be reanimated. No, this does not occur today. Hence, just as with the talking fish, we can be pretty certain resurrections did not occur in Palestine in the first century either. Why? They are empirically impossible. Now, this is not to say that a certain deity, if he existed and was so motivated, could not reanimate a corpse—but that, at this point, is only mere conjecture. From an evidential standpoint, we must first observe that the Regularity of History is compelling evidence against an empirical acceptance of Jesus’s resurrection. Thus, we can already put one checkmark under the heading “unlikely.” At this point, it becomes that much more incumbent on the believer to provide not only basic evidence, but also outrageous evidence of the most compelling kind—compelling enough to override the Regularity of History. After all, as it has been observed, outrageous claims require outrageous proof. Once we have observed that the Regularity of History has cast serious (if not damning) doubt on this claim of a resurrection, we must inquire whether it is scientifically feasible, even if it has never otherwise occurred. In other words, just because it is historically irregular, could it still be scientifically (and thus theoretically) possible? To this end, we must remember that Jesus died sometime in the late afternoon or early evening of day one, was in the (alleged) sepulcher for the whole of day two, and ostensibly returned to life early in the morning of day three. (We already have a problem here, because according to this chronology, which is straight from the New Testament, Jesus wasn’t dead for three days—it hadn’t even been 48 hours. Thus, when Jesus said he would be three days and three nights in the Earth just as Jonah was in the fish [see Matthew 12:40], he did not, according to the New Testament’s own chronology, fulfill this prophecy.) However, just to make it easy (since we do not have specific times, only approximate ones), let’s at least round it up to 48 hours and use that as the measuring stick for how long Jesus’s body was dead. Assuming, then, that he did rise from the dead, he rose as a body that had undergone at least 48 hours’ worth of deterioration. Now, if we allow that Jesus rose from the dead approximately 48 hours after the moment of his death, his corpse would be in the stages between what is listed under 24 hours and under 72 hours. Thus, his face was no longer recognizable. His body was essentially black, blue, and green. His skin was beginning to cover itself with gaseous blisters. He was starting to leak out of his orifices. And he smelled like rot. If you add the fact that Palestine is a warm climate, we can perhaps allow that this process was even speedier than one might think. That, then, would have been the exact condition of Jesus’s corpse at the alleged moment of resurrection. 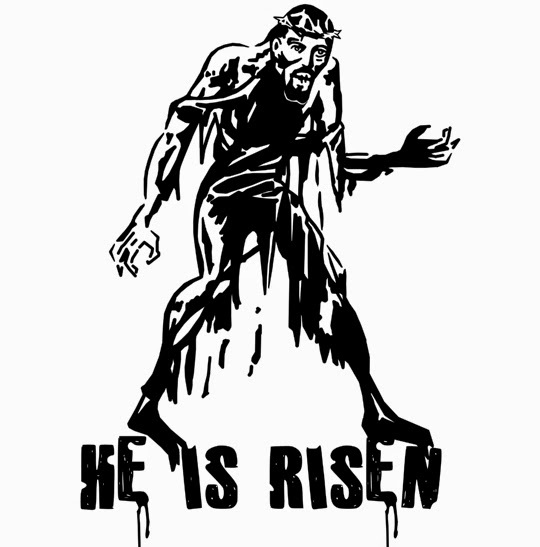 Unless we allow for some kind of supernatural act of God that either kept his corpse from decaying or somehow reversed the decay at the moment of resurrection (which, of course, is the very claim being made here but which, at this stage, is still mere conjecture), we have to assume that if Jesus resurrected, his reanimated body was unrecognizable, grotesque, bloating, rotting, and yet somehow alive in the face of such advanced deterioration. If you remove the miracle-element (and, again, at this stage of our investigation, we have no reason to assume anything miraculous took place here), we find that it was scientifically impossible for the corpse of Jesus Christ to be reanimated after 48 hours of death and decay. This, then, means we must add another checkmark under the heading “unlikely.” So far, our unbiased investigation is not looking too favorable for the believer. However, a few things must be observed regarding claims of the miraculous. If one person witnesses something miraculous and then goes out and reports it, the claim has, at that moment, become second-hand hearsay. No one is obliged to believe this person’s report unless… unless he has strong evidence to back up his claim. Remember, an outrageous claim requires outrageous proof. If two people witness something miraculous, this is slightly stronger than the claim of only one person, but sufficient proof is still required. We are still being unbiased here. We are not demanding too much; we aren’t even demanding more than we should. The nature of a miracle is such that hearsay simply isn’t good enough. If a miracle is defined as that which suspends or violates the natural world, then those who weren’t there to see this event themselves are perfectly justified to say, “Well, that doesn’t usually happen. In fact, that never happens. For this reason alone, I need hard proof to override what I otherwise know about the natural world. Yes, I need miraculous proof of the miraculous.” No, this is not asking too much. It is merely being responsible, fair, judicious, and accountable. In other words, we are treating any miraculous claim in the exact same manner would treat the claim of a fairy sighting among the rosebushes of an English garden—and we are right to do so. Therefore, if we are going to allow that the only possible way the resurrection of Jesus Christ could have realistically occurred is by way of a divine miracle, we must also ask whether or not there is suitable evidence to justify a belief in such a claim. To do so is not an example of us losing our impartiality. We are still being unbiased here. Indeed, we are merely being responsible to inquire whether or not there is any evidence to substantiate the claim of this alleged miraculous event. Anyone would be well within his or her rights to so inquire. In fact, to not do so would be the height of both foolishness and recklessness. After all, matters of this nature ought to be approached and treated with great care. Now, the believer contends that, yes, evidence of a suitable nature does indeed exist. The atheist, after reviewing this supposed evidence, says otherwise. Which answer is correct? This is an important question because here we truly have an instance where one camp must be right and the other camp must be wrong. Both cannot be right, nor can both be wrong. Either Jesus rose from the dead, or he didn’t. If he did rise from the dead and left suitable evidence to confirm this fact, we should be able to find it and review it right here and now. If he did rise from the dead but left no suitable evidence for us here in the 21st century, one has to wonder why God would deny us this evidence when the destination of our immortal souls apparently depends on the issue. If he did not rise from the dead, one has to wonder why billions of people have been conned into believing otherwise by “evidence” that clearly does not warrant approval whatsoever. Whether you are an atheist or a believer or some kind of undecided mutant occupying the middle ground, these are all important questions. And we must continue to address them without bias and thus as impartially as we can.